The world lost one of it’s greatest female athletes today. Elite Norweigan runner Grete Waitz lost her six year battle with cancer this morning. She was 57. Waitz was a legend in the running world, having won the New York City Marathon a record nine times. That’s more than any other woman…or man. 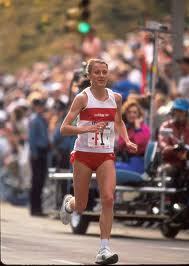 She also won a silver medal in the first ever Women’s Marathon event in the 1984 Los Angeles Olympics. This entry was posted on April 19, 2011 at 9:21 am and is filed under Running. You can follow any responses to this entry through the RSS 2.0 feed. You can leave a response, or trackback from your own site.